A very interesting trend that is emerging for engagement rings in Denver, Colorado is the 1960’s era ‘floating’ central diamond or semi precious stone, supported by smaller diamonds or semi precious stones on either side. A unique option is to use colored semi precious stones on either side of the floating diamond. Our Littleton based jewelry store has so many varied designs in engagement rings, from white gold, yellow gold to rose gold settings. 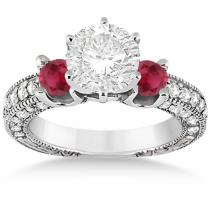 There is no denying the magnificence of rubies, especially when they are offset by the white of the diamonds. The new twist of embedding stones along the sides of the band is also very eye catching and on trend. 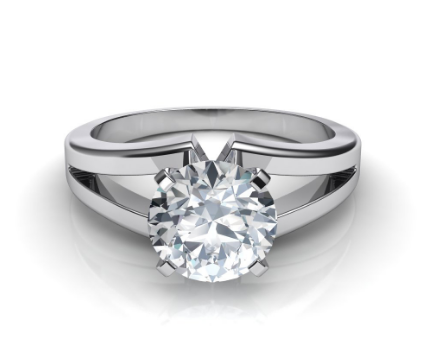 This classically beautiful design can be enhanced with a twist of the bands, either in white or rose gold. 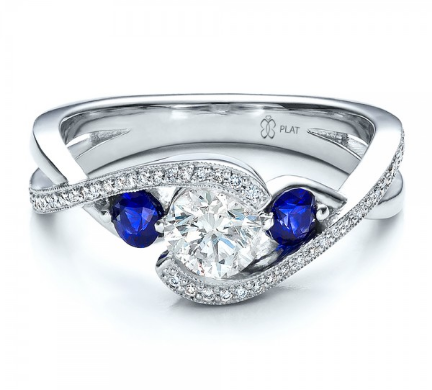 The band can hold small diamonds which will enhance the sparkle. 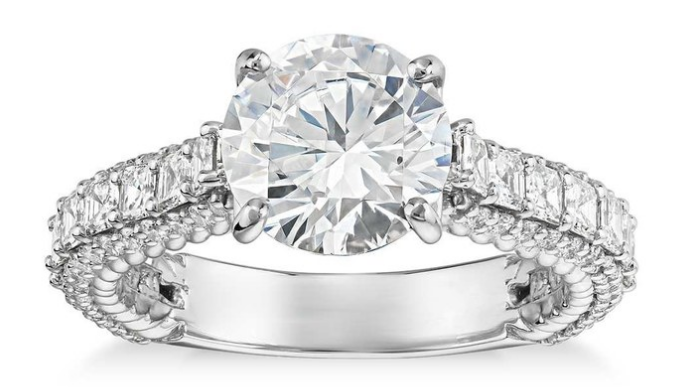 With a split band you have so many options with design, from clean lines which highlight the actual diamond, to including diamonds or semi precious stones set into the bands. The ultimate in elaborate sparkle is the covering the side of the band as well as the top with small diamonds. This style will enhance the shine from every angle and be very eye catching. 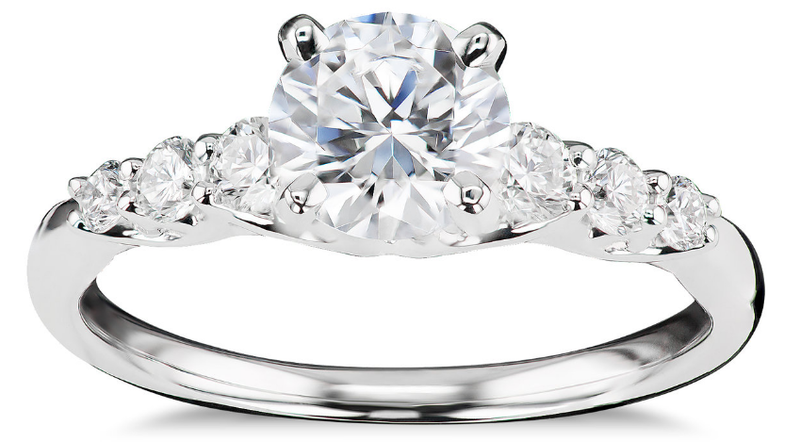 This season there are so many wonderful styles to help you design your Engagement Ring, one that will represent who you are, and will show off your unique personality. Enjoy this wonderful time in your life! 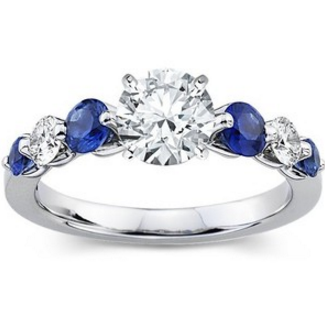 Andrews Jewelry Store also offers a beautiful selection of vintage jewelry for you to choose from. We buy gold necklaces, vintage designed diamond rings, watches and earrings.